Universal Pictures and Regal today announced that, on Thursday, October 11, more than 14,000 free tickets will be presented to U.S. veterans and active-duty servicemembers for Universal’s First Man—at more than 500 Regal locations nationwide. Each of the first 25 service members (per location) with valid, government-issued ID who request a ticket will be given free admission to the 7:00 p.m. preview screening (or first show). 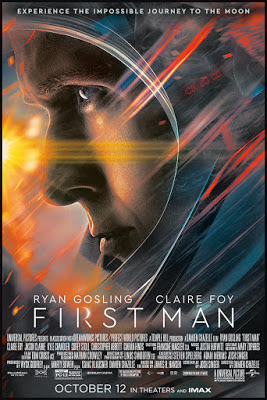 First Man, from Academy Award®-winning director Damien Chazelle and star Ryan Gosling, arrives in theatres nationwide the following day.